Starting 21 November 2015 Fruit Islands organized sailing boat races in her estate. For this purpose a starting line was created in Satsuma region with all facilities needed to do this. Information and rules for participating can be read here. In the left column the user names of the participants and on the top row the route numbers (24). Purpose of this ranking is to show sailors how they perform over time and versus each other. For every route it shows the best time score in minutes and seconds a sailor scored for a particular route until now. 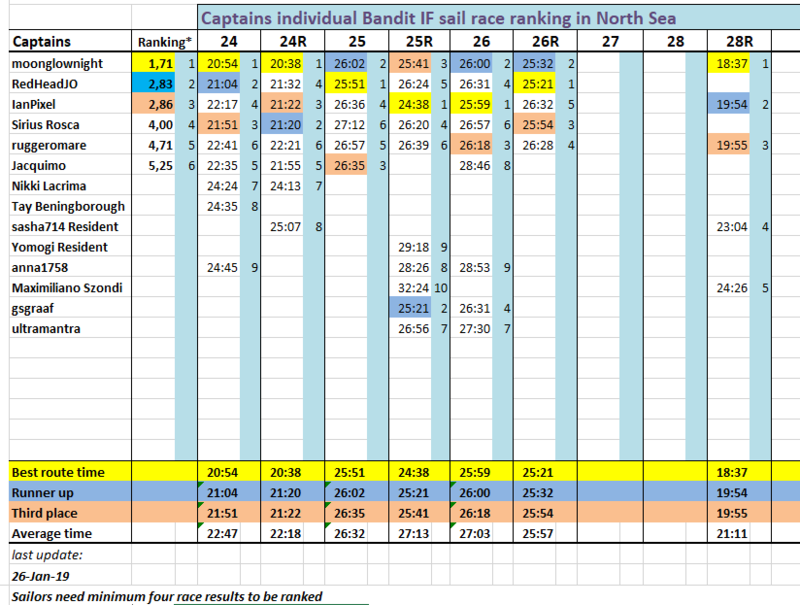 At the bottom it also shows the top 3 scores and the average sailing time for a route. Next to the individual time score of a route, a number indicates the sailors ranking for that particular route. 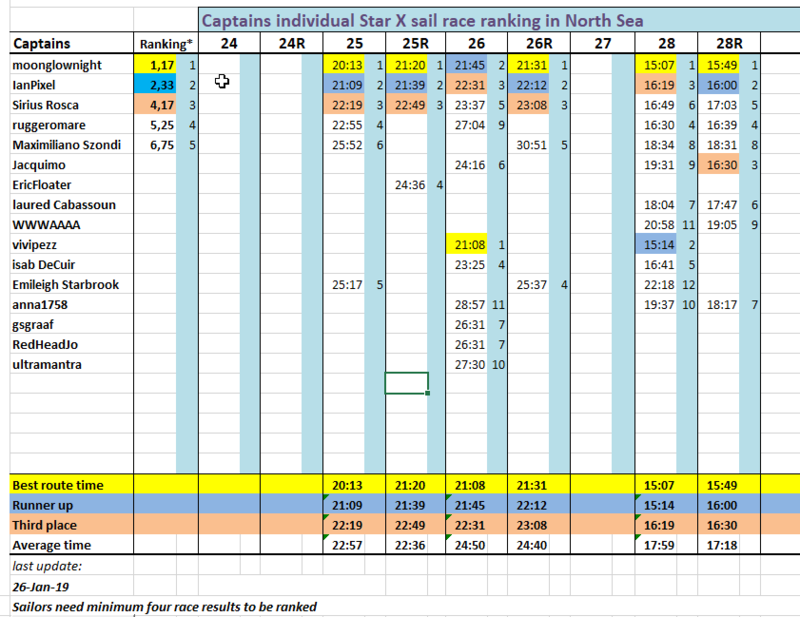 Each race a sailor manages a better personal score for a particular route, the board will be updated. Currently we do six single sailor route races per week on Tuesday, Friday and Saturday at 1pm SLT. The overall ranking in the FIRST column is simply the average of all the route rankings. Rankings are sorted. The sail boat racing is a part of the Mango Yacht Club with its new Marina and event facilities. For our race spectators we added a Dixie Belle boat with levels. You can reach the Mango race spectator boat. Racing routes are set to run through privately owned Fruit Estate with over 200 regions. All information of the routes like timing, maps, USB way points etc. can be obtained from the Race Line vendor for free.